Lords Mobile: Is it Good to Have 2 Barracks? 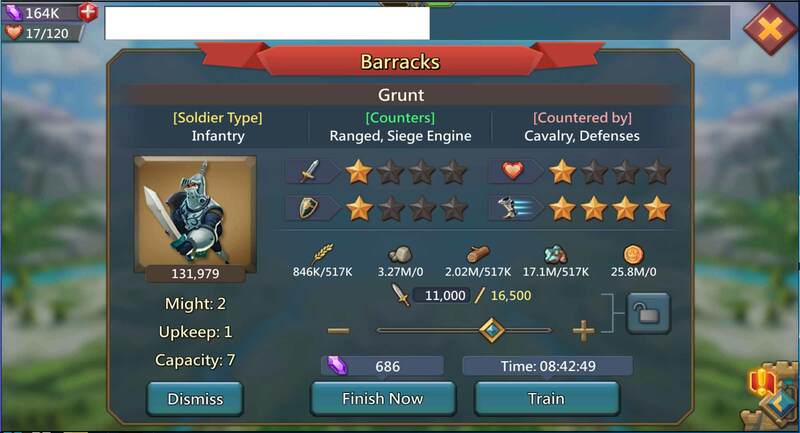 Barracks provides a place to train your soldiers in Lords Mobile. 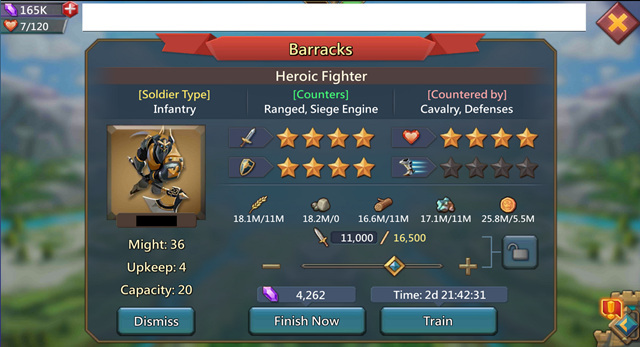 You can upgrade it to increase the number of soldiers you can train. A lot of player with more than 1 barrack on their turf and didn't know exact reason they do that. They respond I see high might player doing it so it must be good. To tell the truth, it's not good for the most player, ADB-Agoni will explain to you why you build more than 1 barrack or stay at 1 barrack. Take a look of the 3 Screenshot at below of T1 grunt 5500, 11000 and 16500. 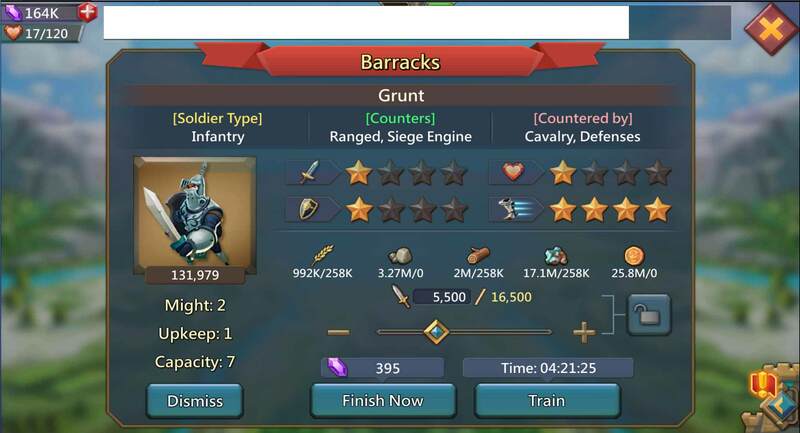 These one are not official and data has been found on a website but ADB-Agoni has tested with his troop and training speed of 2 accounts and it's exactly the same. (You can also do the train time of 5500 x 4 to find it) The gem amount is the same as 5500 T3 and 11k T3. 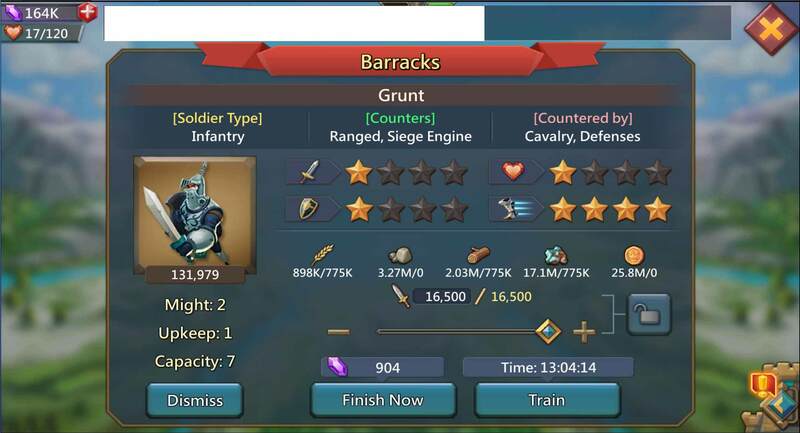 There is an easy way to know what is the best amount of manor or barrack for you for a certain type of troop, it's really simple. First you need to know your actual training speed. And then go to the website to enter your training speed to check training time of any amount of troop which can help you decide if its worth or not to build another barrack.